MOD chrome table lamp. Paul Mayen for HABITAT design produced in the 1970s. The shade is a thick white (not at all yellowed) translucent "Lumacryl" plastic. 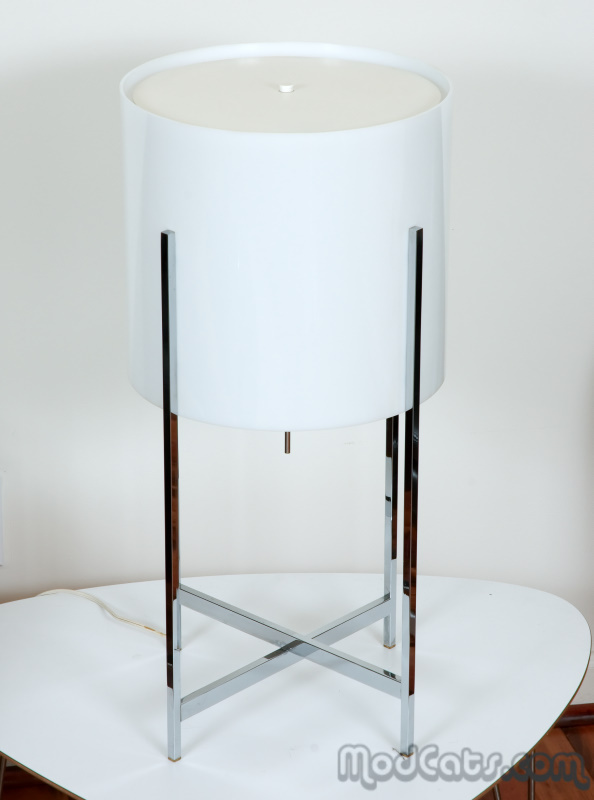 The shade is closed out at the top with a white metal disk.